Olympic gymnast and University of Wolverhampton student Kristian Thomas put students through their paces as part of National Biomechanics Day. The bronze medallist from London 2012 led a session on the biomechanics of gymnastics at the University’s Walsall Campus on Wednesday, 10 April 2019. 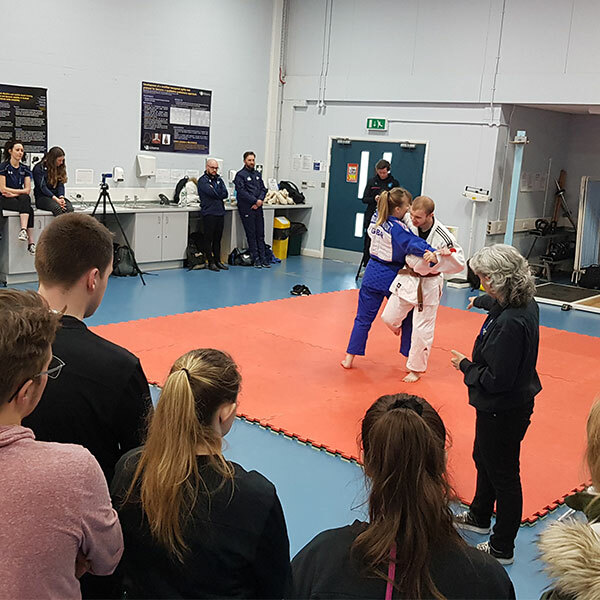 He was joined by two members of British Judo’s visually impaired squad, Natalie Greenhough and Connah Anders, who also train at the campus. Students from Birmingham Metropolitan College and Aston Villa Foundation were invited to the special event which involved fun practical activities in the biomechanics laboratory. The event was led by Dr Tina Smith, Senior Lecturer in Biomechanics at the University of Wolverhampton, and supported by undergraduate and Masters students as well as laboratory technicians from the Institute of Human Sciences. National Biomechanics Day is a worldwide celebration of Biomechanics in its many forms for secondary school students and teachers. This year’s theme was ‘Science Meets Fun’. 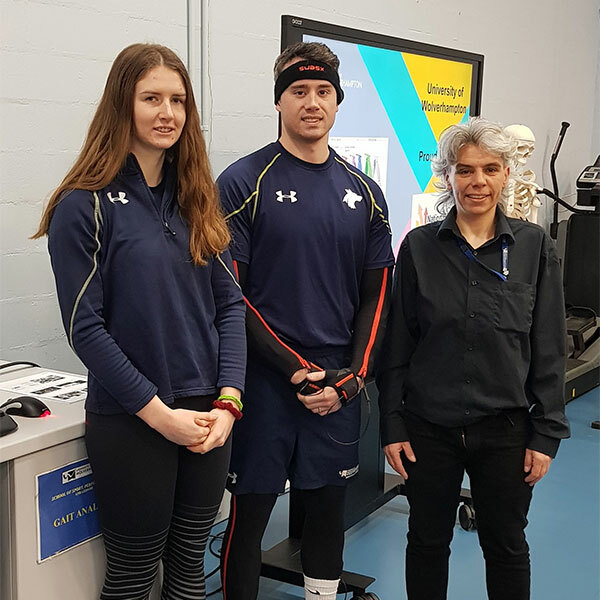 Top pic (l-r): Victoria Gittins, BSc (Hons) Sport and exercise science student, Olympian and University of Wolverhampton student Kristian Thomas and Dr Tina Smith, Senior lecturer in Biomechanics. Bottom pic: Members of British Judo’s visually impaired squad, Natalie Greenhough and Connah Anders, at the National Biomechanics Day event.